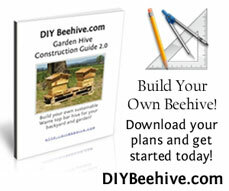 I have been working on a new project that will benefit you if you are interested in backyard and beginning beekeeping! It has taken longer than I thought, but this new project will be ready very soon. Part of the project is that The Bee Space will become part of another, larger site dedicated entirely to the Warre style of Top Bar Hive Beekeeping! You will have access to more Top Bar Beekeeping information and resources, but in a better and easier to use format. So, subscribe to my feed right now. You don’t want to be left in the dark when things change around here!